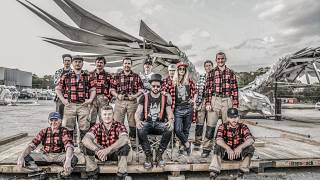 Gray Modern & Contemporary Art (Gray M.C.A.) 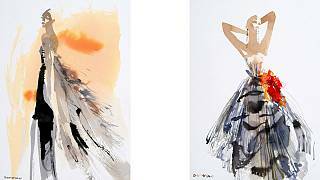 was founded by husband-and-wife team Ashley and Connie Gray, and is most readily associated with its annual exhibition of fashion illustrations, Drawing of Style, which is held at Gallery 8 in St. James’s during London Fashion Week. This year however, for the first time, the show will transfer to the recently-opened Gray M.C.A gallery in Bath until the end of November. The extension of the exhibition couldn’t come at a more important time as Connie, who has curated Drawing on Style since 2014, believes that there are momentous changes on the horizon for the genre. 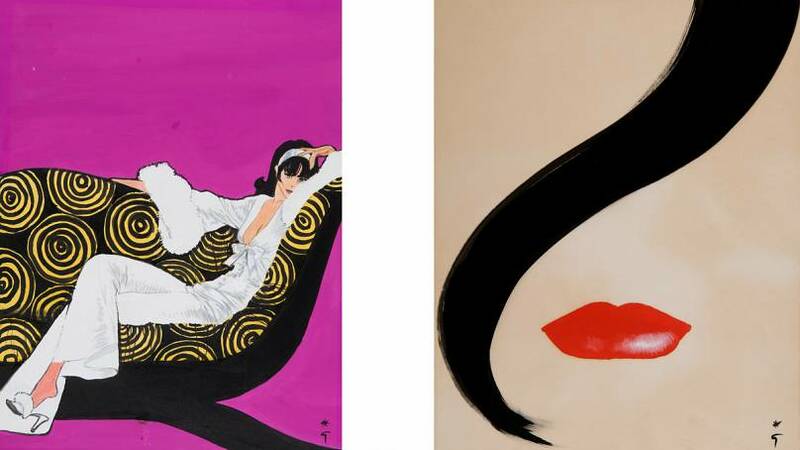 “Fashion illustration is seriously making a comeback.” says Connie. 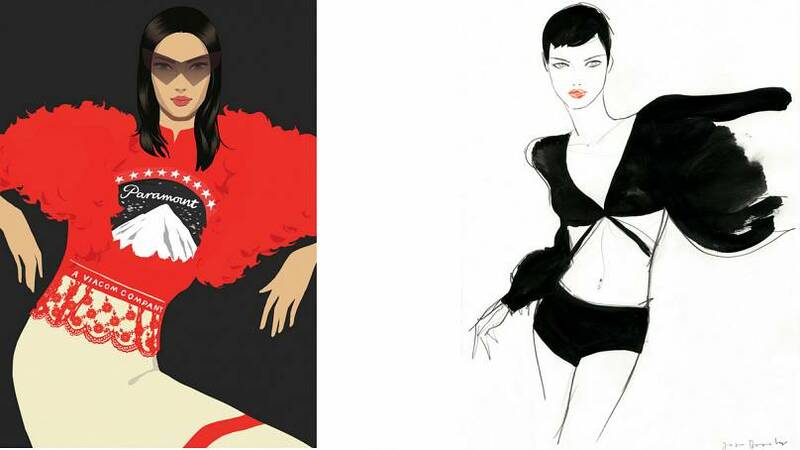 “Twenty years ago you saw almost no fashion illustration but this is gradually changing as editors are looking for something fresh to draw the eye. There are some extraordinarily talented illustrators working at the moment that are bringing it back into fashion in a big way.” she explains. 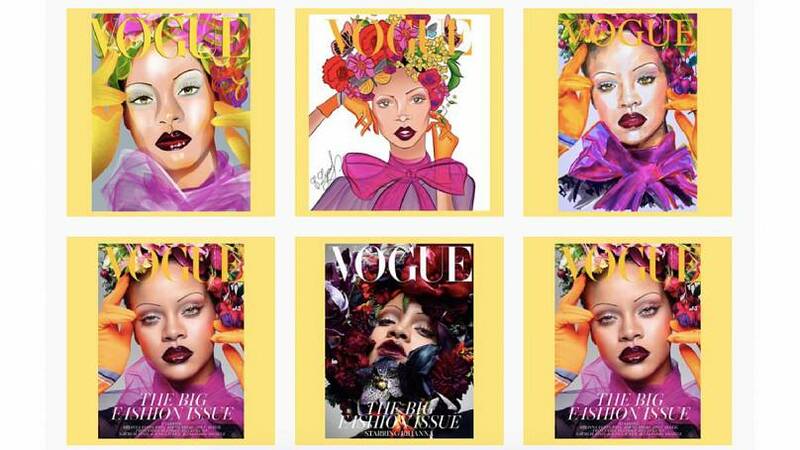 Nick Knight’s photographs of Rihanna that grace the cover of British Vogue’s September 2018 issue were snapped up by an Instagram fashion illustration collective called The Unique Illustration. The group announces flash mobs, where illustrators are asked to produce their own version of a particular piece then post it on Instagram at the same time on the same day. The Rihanna cover was particularly fruitful, inspiring a variety of bright and beautiful images. 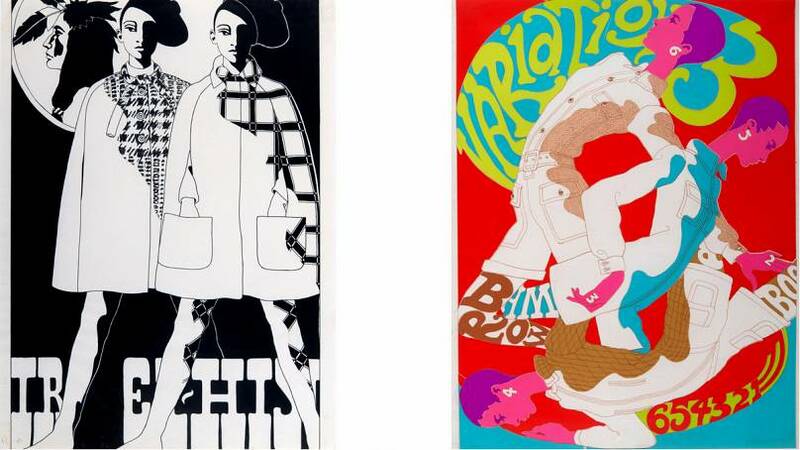 “The fashion illustration market was monopolised by photography in the editorial and advertising markets in the early eighties.” Says Donovan. “Occasionally an illustration would grace an editorial spread or appear as an ad for a department store in The New York Times, but those illustrations all but disappeared. 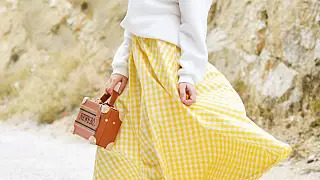 Now, a renaissance of sorts has occurred through Instagram, Pinterest, and Facebook, promoting and building the appreciation and market of fashion illustration.” he continues. Jason Brooks, also included in this year’s line-up, boasts a more graphic style: “it has a slightly edgy, glamorous quality, I like to draw strong women and men.” he says. “My work is also known for being experimental in terms of incorporating digital technology as well as more traditional media.”Despite his inclinations towards digital imagery, Brooks is dubious about the advantages of social media within the industry. “When I first started as a fashion illustrator in the 90s it felt like a wide blue ocean, particularly as I was one of the pioneers of digital fashion illustration.” says Brooks. “Social media has levelled the playing field in some ways as illustrators no longer need to be featured in magazines or advertising in order to have their work seen by thousands of people. At the moment popularity and artistic quality often part company in the social media space, but I think good work and brilliant drawing still stand out, and there will always be those that see beyond online marketing and showmanship and seek out more lasting quality.” he continues. The number of new illustrators might be growing, but the masters still have a major place within the exhibition this year. 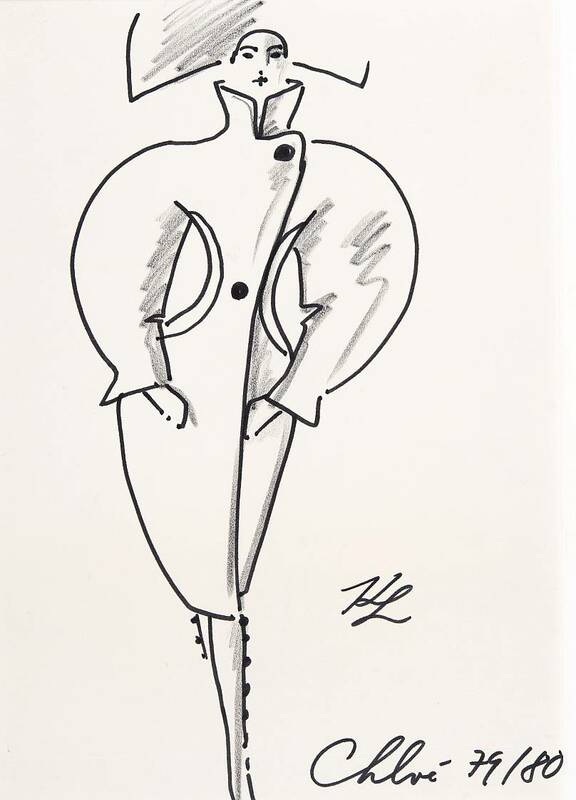 A last minute addition is a piece by Carl Eric Erickson who, due to his pioneering style of the time that placed models in everyday scenarios, is arguably the most influential fashion illustrator of the 20th century. The work in question was published by US Vogue in 1933 and is called ‘The Pink of Perfection’: it depicts a couple in evening wear framed by inky blue moonlight, the woman is wearing a pink couture dress by Lucien Lelong. Connie had to pause the printing of this year’s catalogue just so it could be included. “The artworks are not only beautiful works of art in their own right but also historically so important. You can see the influences of the era in everything from the dress, hair, setting, style and medium that the artist uses.” Connie continues. 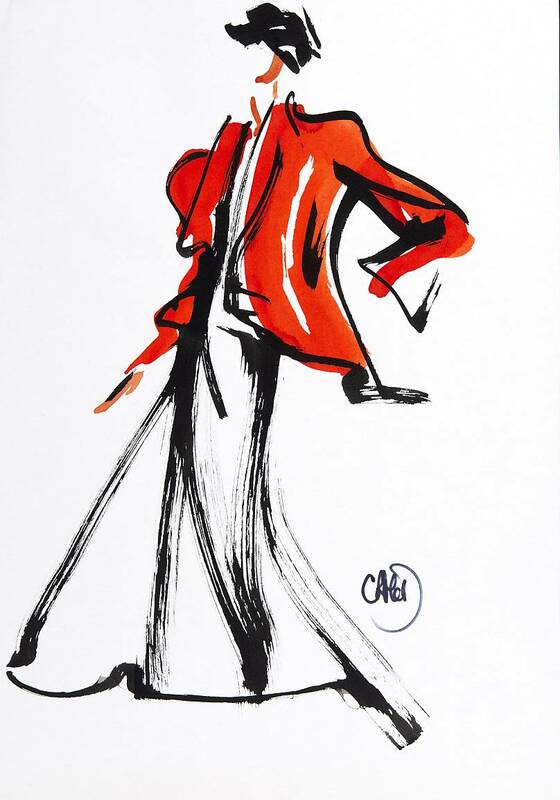 Another major draw to the show is a series of never-before-seen illustrations by the esteemed fashion commentator Colin McDowell: the former senior fashion writer for The Sunday Times would sketch the couture shows as his own personal notes. 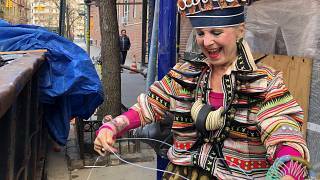 “I love the fact that the artists were not precious. They often used cheaper paper and placed their coffee cup on the edge. You can see their thought process through their line and detail. This all adds to the overall history of the artwork and brings them to life rather than them being formal portraits.” Says Connie. “With illustration you have a very simple but entirely personal relationship between the artist, the model and the fashion. It comes from the heart and as a result has a freedom and power that I do not believe is so organic in fashion photography.” She continues. Drawing on Style 2018, 14-21 September 2018, Gallery 8, 8 Duke Street St James's, London, SW1Y 6BD. Drawing on Style will transfer to Gray M.C.A in Bath from 8 October - 30 November 2018, Gray M.C.A, 5 Margaret's Buildings, Bath, BA1 2LP.